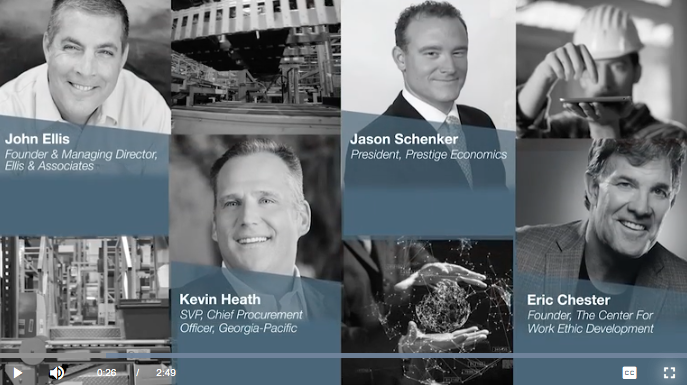 As part of MHI’s ongoing video program, this new episode focuses on: Overcoming Barriers to NextGen Supply Chain Innovation at the 2018 MHI Annual Conference and Executive Summit. Next-generation supply chains are coming – and in some cases, they’re already here. Are your leaders prepared to face the evolving challenges of a new business landscape? Learn from keynote speakers, John Ellis, Kevin Heath, Jason Schenker and Eric Chester about what’s coming in the next five years and how it will impact and distrust your manufacturing and supply chain operations. Then, choose from MHI Industry Groups meetings and 12 educational sessions for more in-depth learning on the key next-gen supply chain technologies and trends identified in the 2018 MHI Annual Industry Report. Pave the way for future success at the 2018 MHI Annual Conference and Executive Summit. View full video.